Andrew talks about the player safety double-standard in the NFL, Placeholder QBs, & Le'Veon Bell on this week's podcast. Russell Wilson's agent, Mark Rodgers talks with Andrew on this week's podcast about the negotiations that went into Wilson's record setting contract with the Seahawks. Longtime NFL agent David Canter joins Andrew on this week's podcast to talk about his latest deal between DeMarcus Lawrence & the Dallas Cowboys. They also discuss Eric Weddle's signing with the Rams and Oliver Vernon's restructured contract with the Cleveland Browns. Andrew looks back on his earlier episodes featuring 'AAF Founder' Charlie Ebersol & 'AAF Funder' Tom Dundon about the growth & longevity of the now defunct Alliance of American Football League. Andrew talks about what it's like inside the owner's meetings & his thoughts on Rob Gronkowski on this week's 'Brandt's Rants' edition of the Business of Sports podcast. Sara Slane, the Senior Vice President of the American Gaming Association talks about the state of gambling in the U.S.
Sports Illustrated legal analyst Michael McCann is this week's guest on the Business Of Sports. Michael & Andrew talk about Robert Kraft's legal troubles and where they go from here. 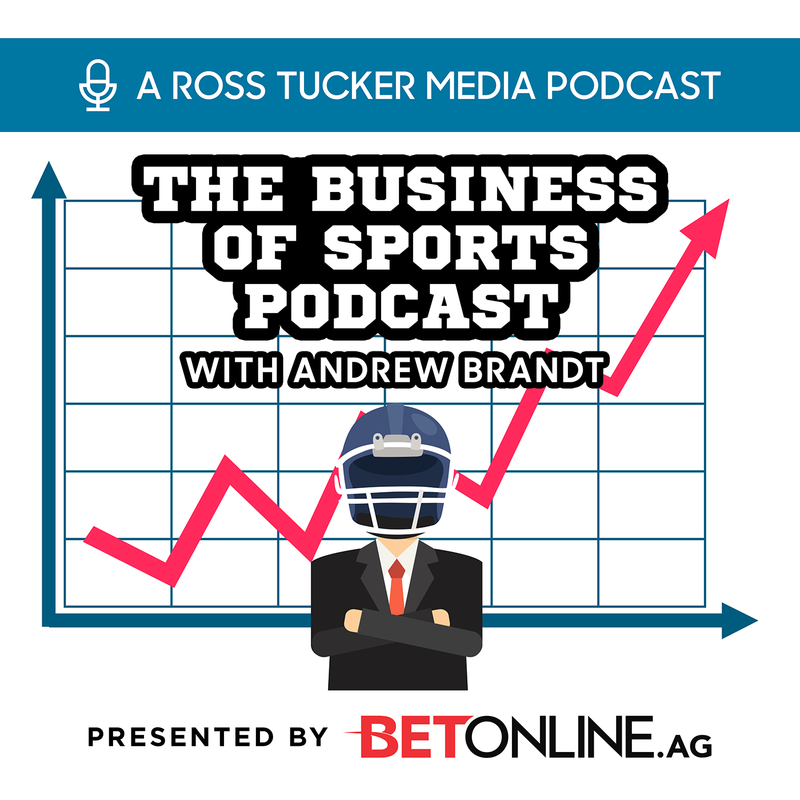 Carolina Hurricanes owner & new Chairman of the Alliance of American Football Thomas Dundon is this week's guest on the Business Of Sports podcast. He & Andrew discuss his career, how he got into sports ownership, & his latest investment in the AAF. Andrew goes in-depth on the following topics this week: Antonio Brown, the Colin Kaepernick settlement, the AAF's funding, & Zion Williamson's injury. Andrew "rants" about MLB Free Agency, the debut of the AAF, Antonio Brown, & more on this week's podcast.